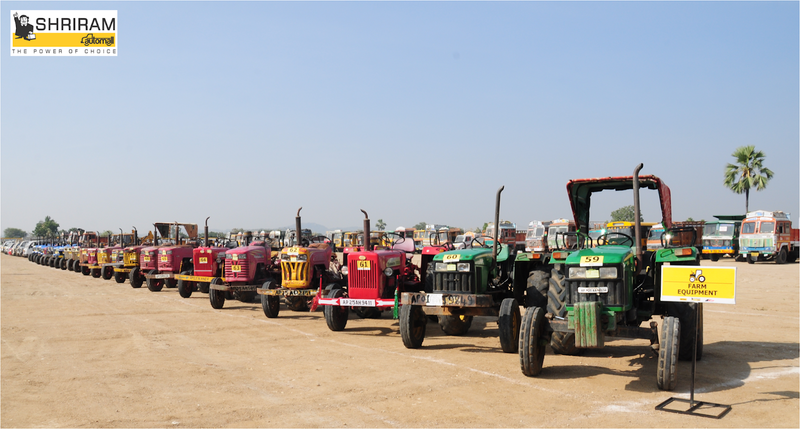 Since 1961, when tractor manufacturing started, the industry has grown at the phenomenal speed in past 5 decades to record the manufacturing of over 3 lakh units per year. Indian agricultural market is growing with a remarkable pace, and now with government support it is expected to record a major boost. New union budget also focus around farmers and rural economy with the launch of Operation Green of Rs 500 crore, an increase in MSP for Kharif crops by 1.5 times and Rs 200 crore for the rural road, to make import- export easy. With government taking all the necessary steps to help the rural agricultural sector grow, we can see ShriramAutomall India Limited (SAMIL) - The largest used vehicle and equipment provider in the country, playing its part in helping the sector. SAMIL through its advance, innovative services gave attention to this sector and small farmers while assisting them about what’s good for them & what’s not! Company provided them complete assistance through innumerable transparent platforms while helping them to evolve their lives for good. Through its mega Automalls in every corner of the country, company serves a large customer base in this segment at the personal level. SAMILIANS in the laymen’s language deals with customers and provides them financial assistance to buy used Tractors, agricultural equipment etc. of their need & choice to enhance their work experience. Company opens the gate of their huge inventories, stuffed with variety of used vehicles & equipment of different brands for both interested buyer & seller who can inspect vehicle and choose what suits them best through their diversified bidding platforms. Not just that, Shriram Automall also provides services like private treaty which bounds customer to visit their inventory again & again to get the best customer experience of all time. So, if you as well are looking to buy or sell any type of used vehicle & equipment SAMIL is your one stop trustworthy solution, which with transparent negotiable deals through different platforms will provide you the memorable customer experience.